When not using the system, most of us put our system to sleep. This helps in not wasting power unnecessarily. The good thing about putting a PC to sleep is that you can turn it on instantly. Windows lets you can put your PC to sleep in a variety of ways. Not only putting to sleep but waking the PC is also very simple. Just press the power button and you are good to go. Though pressing the power button to wake PC is no difficult task, you can make things a tad bit easier. That is, you can use our keyboard and mouse to wake PC. By default, this option is enabled on most PCs. However, sometimes it might not work as it should or the option is disabled. Here's how to wake PC from sleep using keyboard and mouse. Note: Though I'm showing this in Windows 10, the same methods work on Windows 7 and 8. If you like to wake PC from sleep using the keyboard then you can do so with just a few clicks. All you have to do is change the device setting from Device Manager. 1. First off, search for "Device Manager" in the start menu and open it. Alternatively, press Win + X to open the Power User menu and click on the Device Manager option. 2. 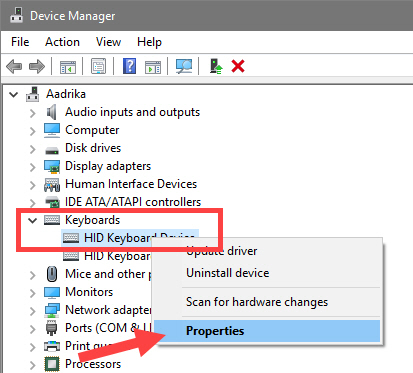 In the device manager window, expand "Keyboard" section, right-click on your keyboard and select the "Properties." 3. The above action will open the keyboard properties window. Navigate to "Power Management" tab. 4. 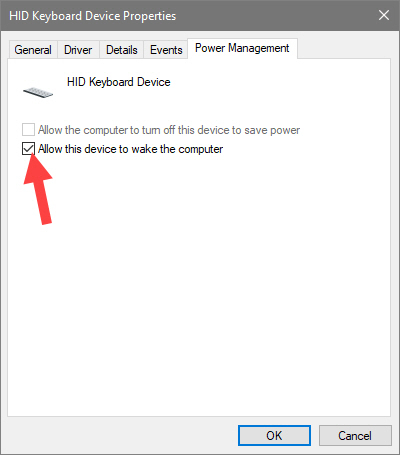 Select the checkbox "Allow this device to wake the computer" and click on the "Ok" button to save changes. If you are not seeing the power management tab, it is likely that your keyboard doesn't support this feature. Just to make sure, reinstall the keyboard driver. If the keyboard supports the feature, you will see the power management tab. That's it. From now on, you can wake PC from sleep using the keyboard. Just press any key on the keyboard. The same procedure can be used to wake PC from sleep using the mouse. 1. Open Device Manager by searching for in the start menu. 2. 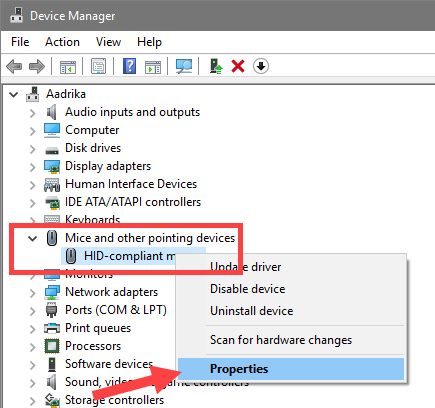 Here, expand "Mice and other pointing devices" section, right-click on your mouse and select "Properties." 3. In the properties window, navigate to "Power Management" tab, and select the checkbox "Allow this device to wake the computer." Click on the "Ok" button to save the changes. That's it. You can wake PC from sleep by clicking the mouse button. Again, if you are not seeing the power management tab then either you have to reinstall the mouse driver or your mouse doesn't support the feature. 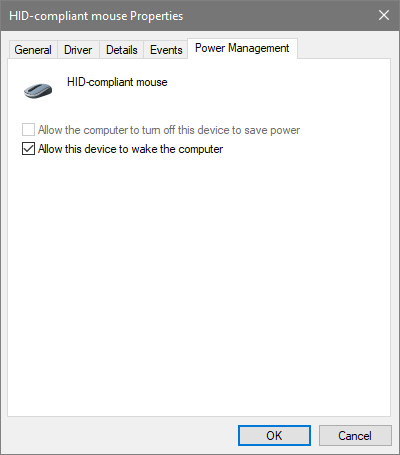 If you ever want to disable waking PC using keyboard or mouse, just uncheck the "Allow this device to wake the computer" under power management tab for both keyboard and mouse. Comment below sharing your thoughts and experiences about using the above methods to wake PC using keyboard or mouse.